Serve as part of a brunch buffet or for dinner with a fluffy green salad. Heat 2 tbsp (30 mL) olive oil in large non-stick or cast iron pan frying pan over medium heat. Add potatoes, onion and 3/4 tsp (4 mL) salt and sauté for 10 minutes, stirring occasionally. Meanwhile whisk eggs, hot sauce, parsley, and remaining salt and pepper in medium bowl. Set aside. After potatoes and onion have cooked for 10 minutes, add garlic and red pepper. Cook until potatoes are tender and onions are lightly browned, about 5 minutes. Add potato mixture to the bowl with eggs. Stir to combine. Heat remaining 2 tbsp (30 mL) oil in the pan over medium-high heat. Add potato mixture and spread into an even layer. Cook until eggs start to set on the bottom, about 2 minutes. Reduce heat to medium-low. Cook until almost set, 8 to 10 minutes. 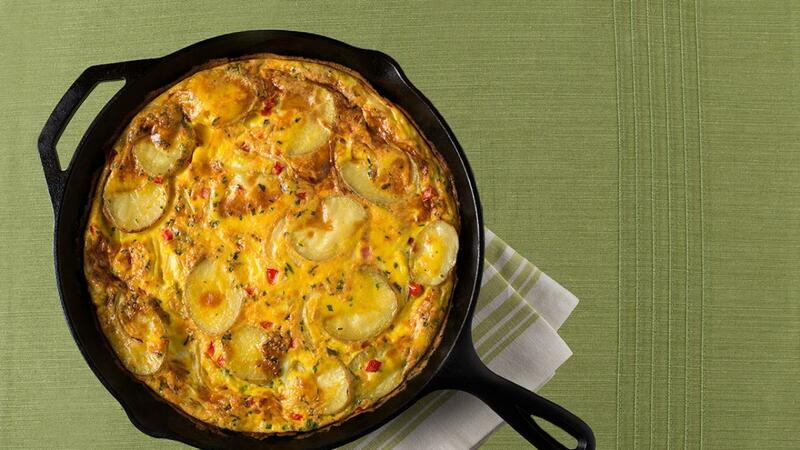 Run a spatula around the edge and gently shake the pan to loosen the omelette. Place a large plate over the pan. 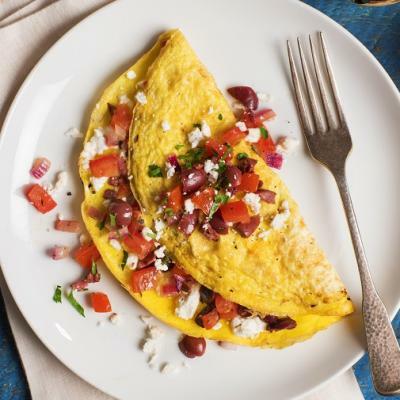 Carefully flip the pan over so the omelette falls onto the plate. 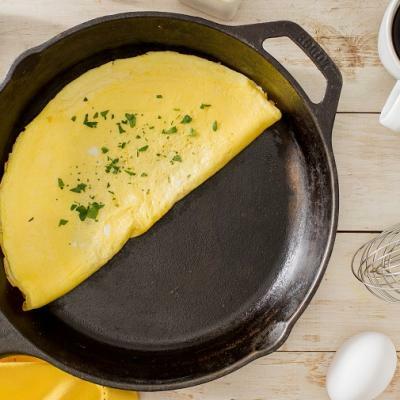 Slide omelette back into pan. Cook until bottom is lightly browned, 5 to 7 minutes. 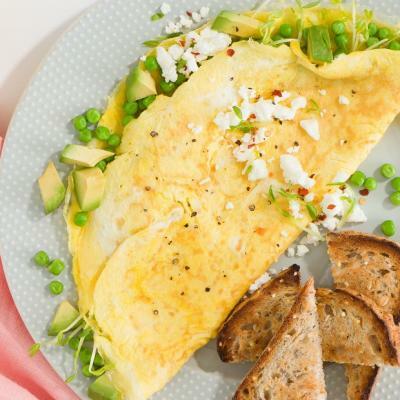 Flip omelette onto plate and cut into wedges. Add a light smoky flavour by stirring in chopped chorizo sausage with the potatoes.